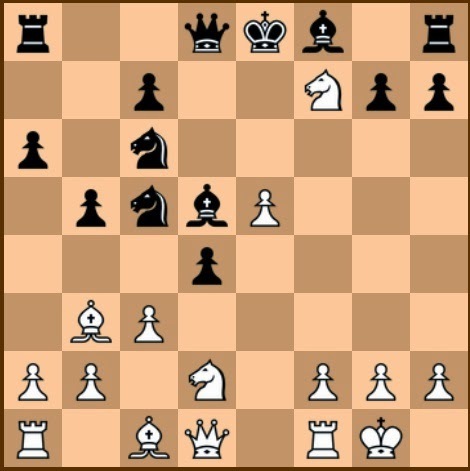 White should have moved h4, neutralizing Black's attack. Black continues the attack sacrificing the Queen in the process. Black takes advantage of the pin on f2. 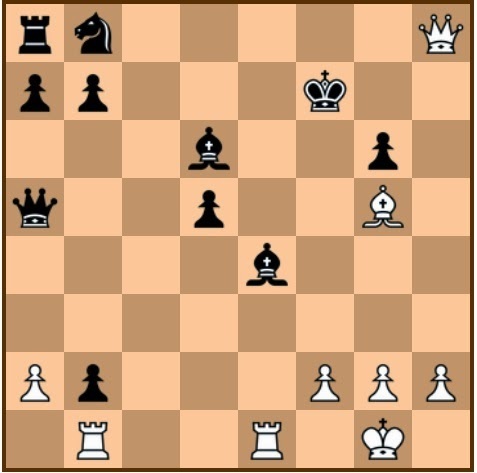 White thought that the Knight is going to e2, that is why he did not move hxg3, because of what he thought was the threat Ne2+ winning his Queen. But Black has the most perfect idea in mind. 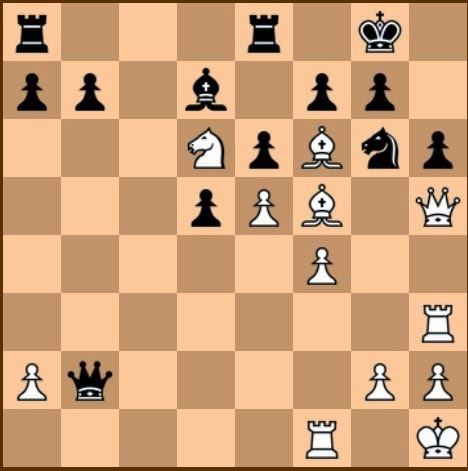 Black cannot move his King to h1 because of Rxh2 mate. Now White's doom is sealed. 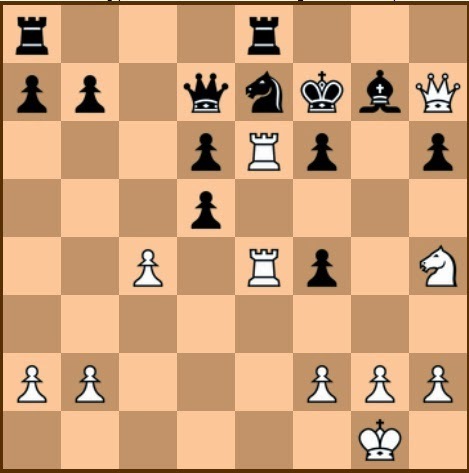 Black threatens gxh2 mate. A relentless attack by Black enhanced even more by a beautiful Queen sacrifice. The Karpov Gambit in Open Variatiation. If 11....Qxg5, then 12. 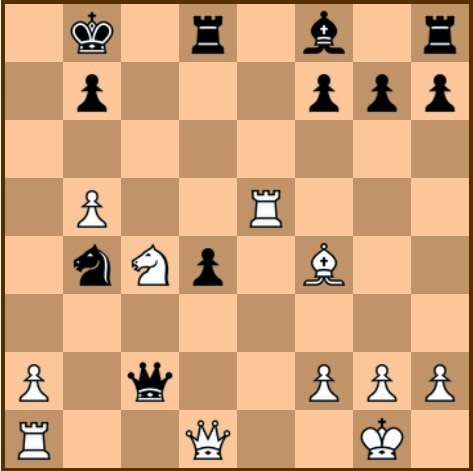 Nf3 followed by 13. cxd4. 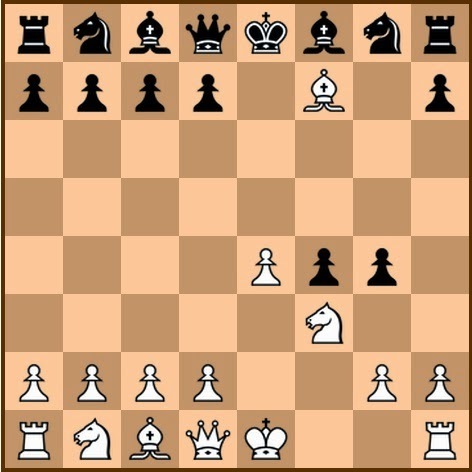 Connected pawns at the center of the board would be formidable. An unexpected move. 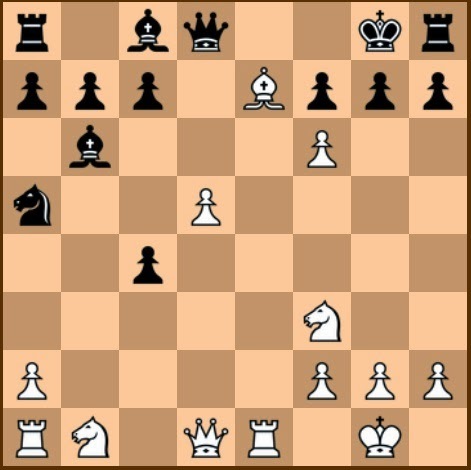 The beginning of White's devastating attack. If 15....Kg8, then 15. Qe6+ Bxe6, 16. Bxe6 mate. The Bishop cannot be captured because of the double-pin. If 20....Ke8, then 21. Nd6+ Qxd6, 22. Rxe6 double-check. If 23.....Nxe7, then 24. Rxe5+ Kxe5, 25. Re1+ followed by 26. Qxe6 mate. 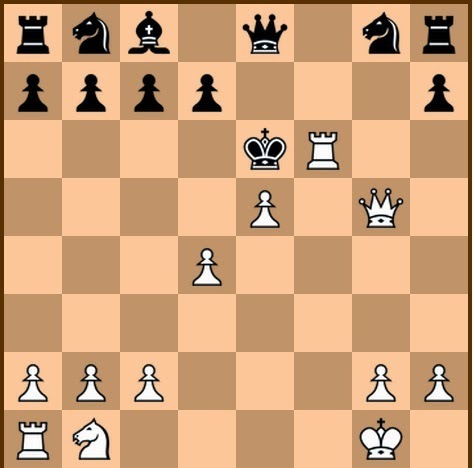 Black eventually resigned. 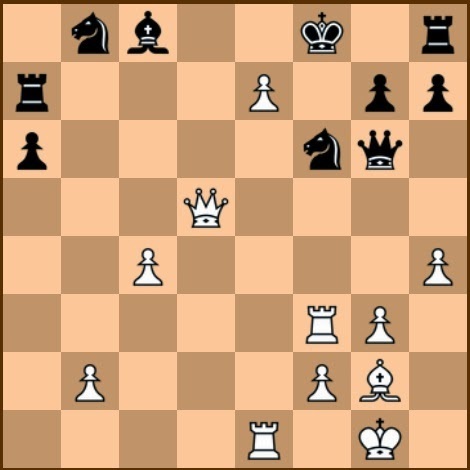 White's threatens mate after Rxe5. If 6. dxc5 Qxd1, the exchange of Queens would be bad for White. The sacrifice intends to open-up the g-file. The Queen is bound for g5, threatening mate. If 20.....Qxc4, then 21. Bd6+ Ke8, 22. 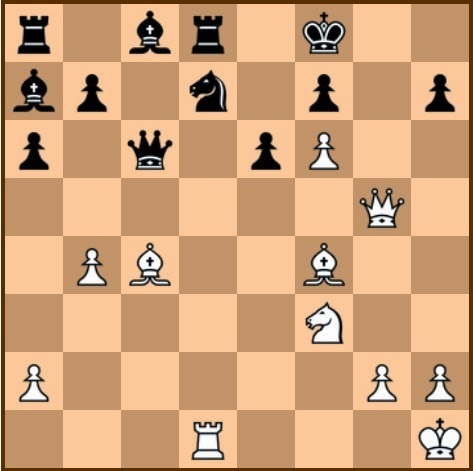 Qg8+ Nf8, 23. Qxf8+ Kd7, 24. Qe7+ Kc6, 25. Qxd8 ... and White wins more materials. The threat of Bd6+ has become more plausible. The White Queen has nowhere to go. If 23....Qb6, then White continues the attack by 24. Rxe8+ Kxe8, 25. 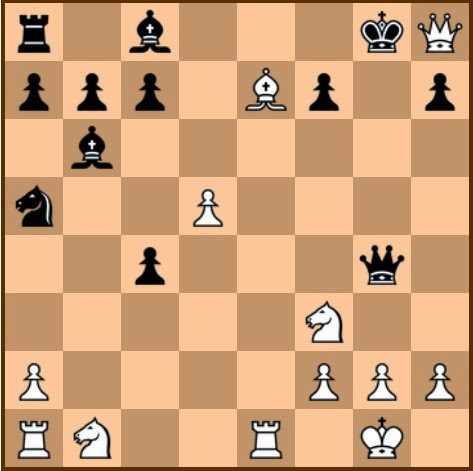 Qg8+ Ke7, 26. Qxf7+ Kd6, 27. Nd7+ and Black loses his Queen. If 23....Qa4 or Qe4, then 24. Nd7+ Bxd7, 25. Bd6 mate. A surprise sacrifice! White intends to open-up the e-file. Black has accurately predicted that the Bishop is more important in the defense of the King. White intends to move his Queen to a4 followed by Nc6. Another surprise move by White. taking advantage of Bishop's power along the main diagonal. If 21....Ke8, then 22. Qd8+ Kf7, 24. e8=Q+ Rxe8, 25. Qxe8 mate. If 24....Kf8, then 25. Qd6+ Kf7, 26. Re7+ Kg6, 27. Be4+ and White has a great attack. Black resigns, as mate is inevitable. If 25....Kd8, then Qe7 mate. If 25.....Kf8, them 26. Qe7+ Kg8, 27. Bd5+ Nxd5, 28. Qe8 mate. White begins to dislodge the Black Queen from the back rank. Black prevents White's check by Queen at g5. 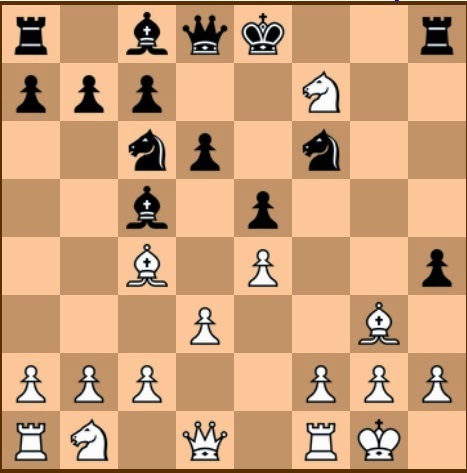 The Bird Variation of Ruy Lopez Opening. Attacking the opponent King and defending the Queen at the same time. If 21....Nxa2, then 22. Re2+ and White wins a piece. Black has no defense against 24. Ra1+. If 23.....fxe5, then 24. Ra1+ Kb8, 25. Bxe5+ Kc8, 26. Nb6 mate. White sets a trap. If 13....g5, then 14. Nxf6 winning Black's Queen. If 13.....Bxd5, 14. exd5 g5, 15. Ng6 Rg8, 16. Rxe7 Bxe7, 17. Re1 with a good pin. Black has no other choice. If 22....Ke5 or Kg5, then 23. Qxg7+ Kxf4, 24. Qg3+ Ke4, 25. Qe3 mate. Black is hoping for 25. Qxf5+ Ke7, 26. Qf6+ Kd7, and the Black King escapes. Black resigns. White threatens 26. 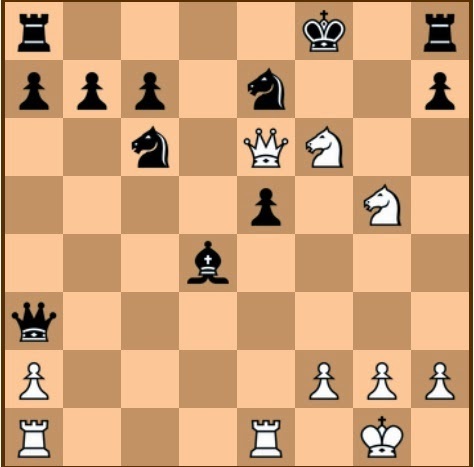 Nd4+ or Ne3+ with a good attack. The Lolli Gambit. White sacrifices major pieces in order to bring the opponent King to the center of the board. 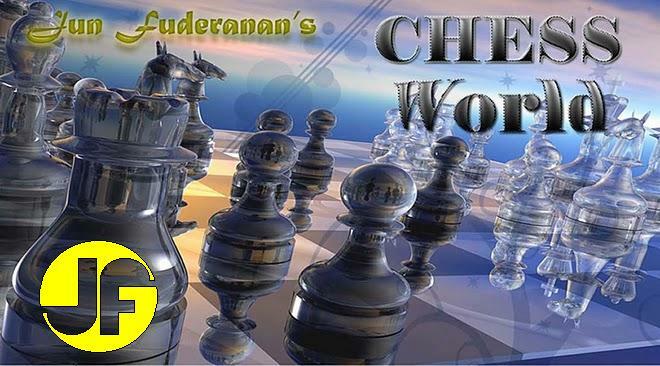 If 11....Nf6, then 12. e5 pinning the Knight. Now, Black is doomed. No matter his move, White clinches victory. White also mates by 23. Nd5. A picture-perfect mate. Preparing for attack along the h-file. If 24.....exf5 then 25. Bxg7 followed by Qxh6 and mate follows. If 24......gxf6, then 25. Bxg6 fxg6, 26. Qxf6+ and mate follows.